In this digital focused marketing minefield, it's becoming increasingly difficult to find and select an agency either for a long term relationship or to drive a special project – be it for website design and development, apps, mobile marketing, Search or Social. Post the RFP and the Response to it, or post the initial pitch, how does a brand manager make a choice? How does one appraise the agency? Start with why. 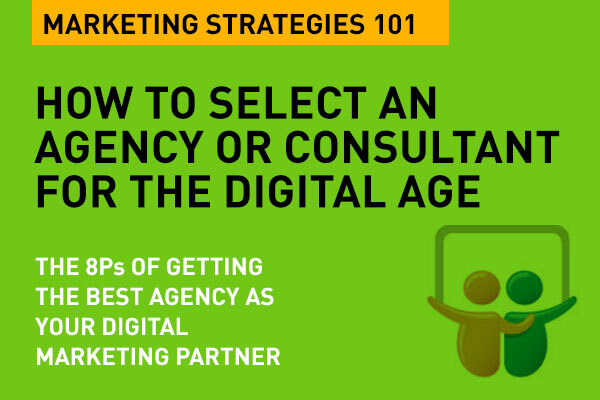 Why are you looking for an agency or a consultant (or a freelancer, even) to partner with you on your digital marketing journey. Once you have ticked all the boxes that you need to essentially focus on in any digital marketing strategy, you'll be able to then narrow down on where and why you actually need help. Is it social media or content marketing? Is it Search? Is it for an agency who will help convert your data into insights that will add value to your marketing efforts? Is it Programmatic media buying? Or automation? In today's mobile-first everything, this is probably an area where you'll need some real expertise from the outside. Very often, a digital or integrated agency will stake the claim for mobile marketing related campaigns and projects. Do they understand how mobile works in today's lean-forward world of consumers? You have to first define your purpose. Once you know which areas you need help with, it will help you plan on where to look, how to look, what to look for. Word of mouth is a great way to find an agency or consultant. Success breeds success. But sometimes, you need to cast a wider net and start by simply looking on Google. I believe that if an agency does not appear on a search engine result page in near top pages position, they're not just doing their homework. That's a good tick box right there. You'll need to plan properly – what will your RFP say, what should it include, how specific are your needs. It's very important to be precise and honest about your expectations. Depending on the size and nature of your needs, you would want to make sure your are 'briefing' or sending the RFP or making those phone calls to the right kind of agency. Do you need a media agency? A full service agency (that does everything, including digital)? 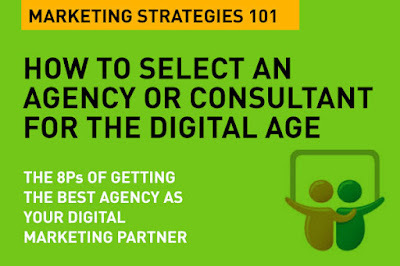 A digital specialized agency or consultant? A hyper-specialized niche agency that does, say, only Search? Plan properly and manage your expectations. Send out your RFP and give them enough time to respond. An RFP is a good place to start because it is written out, expectattions and numbers are made clear, and you will get a response in writing and hopefully, via a pitch. Has the response to the RFP or the pitch presentation adequately demonstrated a clear understanding of what you need done – as per your brief or RFP? Is there clarity on how the project will be managed, who will work on it, how much time it will need, will it be tested, will it be done in-house or managed via outsource etc. Most importantly, is there a clear understanding of the scope of work, and at least an outline of the content map, or project definition has been provided. No matter what, did you see that the agency has the absolute basics of digital right? Did they demonstrate an understanding of the 7 essential Pillars of Digital Marketing Strategy? Does the agency understand what you need and are able to process that information correctly? Or did they go off brief? Are they able to put a thorough and rigid process in place to follow through and deliver on your project requirements? Have they defined how and who will work in that process, what your involvement is as a brand? Has the agency outlined who delivers what and when? Who is responsible for which bits of content – who manages all the assets (all the things that make up the content)? Is there a clear dependency guideline – and an indication of what costs are included, what costs may come up as extras? When you get 'everything' is included thrown in, look again. One important factor to key into this is to see that no matter what the agency presents on whichever topic, have they focused on the consumer? Have they got the very first step: Consumer Insights covered? Who is going to be your key team? Who was in the pitch or the RFP document? Google them accurately. How long have they been in the business? What is their LinkedIn profile? Are they well established and well known? What is their experience? Have they worked on similar projects? Check out people's credibility. You're not handing over your dream project to an agency brand, you're going to work with people. Check them out. In this digital age, a lot of people have suddenly gone 'digital'. Avoid the people pitfall. Work with the best. And always ask about who's going to work with you. Agencies often fly in top guns just for the pitch. Watch out for the fly squad. Ask for real people with real creds. Was the Response to the RFP or the actual pitch interesting? Was the pitch professional? Detailed? Looked good? Or was it prepared and put together last moment? Did it look high quality? If the pitch looks good, your work will; usually look good. If the pitch or RRFP is strategically sound, your project will reflect that. The team that puts in a lot of effort into the pitch document, and shows you high quality near-finished work is the one that will work best. This is the most difficult one to tick the box on, but pricing is often seen as the number one decision point. That's wrong. Pricing should be fair, deliver on value, and be in the ballpark that you think is right in the market trend. Keep wiggle room in pricing. Allow to add 10-15% for experience and expertise value. There's always a cost to someone who has years of experience on projects – and you'll get ROI on that in your project. Take away 5% if the agency has given extras that are expensive. This means they're making money on it. Finally, watch out for the all-inclusive, we will do everything deal. This means the agency is making money on everything! The best submissions are ones that have pricing broken down and explained, and all extras mentioned separately and costed. You cannot put a price on this. Did the team show passion for the project or the brand? Were they enthusiastic? Did they go beyond the brief? Did you see details that show care and value addition? Did the team look hungry and keen for your piece of business? Did they follow up? Was the response to your request prompt and courteous? Did you feel the right chemistry? Passion makes a big difference. Seek it out. Reward it. Those are some of the basics that you need to keep in mind. At the end of the day, chemistry matters, your gut feel counts as well. If you find the right partner to help you through the maze of digital marketing, you are ahead of the race right from the start. That's Digital Marketing Strategies 101. Useful for this purpose: Understanding Digital Marketing Job Titles at Agencies. Thank you Tom for a wonderful post on the 8 Ps. Very iuseful content, and loved how you have used the Ps in highlighting the key issues. A very useful guideline for both startups and entrepreneurs who need a framework of points to consider when hiring a consultant or a digital centric agency. The first two Ps are essential – Planning and Purpose. Without these the other points are meaningless. I feel this is also a very useful list for both consultants and freelances or agencies going in for new business so that they can make sure they are delivering on these requirements.